On 26 June, the Traffic Development Coordination Centre invited the resettlement, regional development, heritage management, rural development and tourism specialists for a discussion. 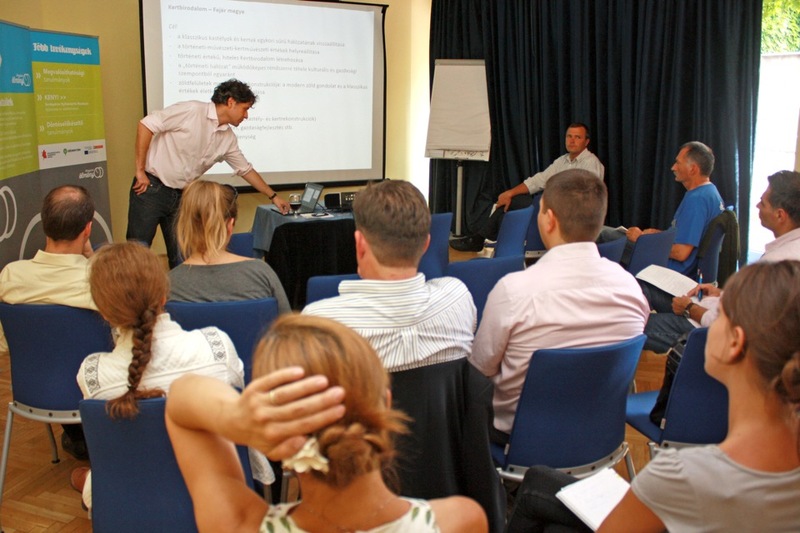 The discussion was focused on the development ideas about Budapest-Balaton as a traffic and cultural corridor. 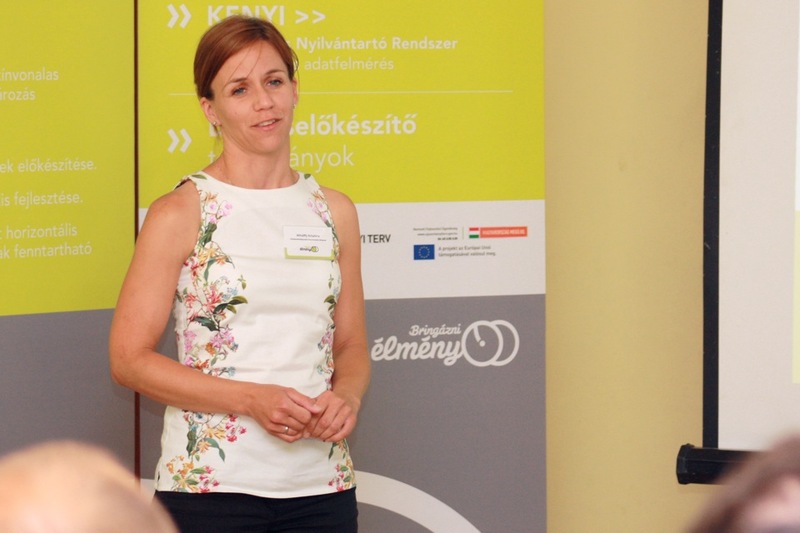 In her opening presentation, Krisztina Mihálffy, project manager of the Hungarian Transport Administration, described the structure and main elements of project “Preparation of the development of commutation bicycle roads that can be connected to the network”, including the planning process and the planned route of the Balaton-Budapest bicycle road. 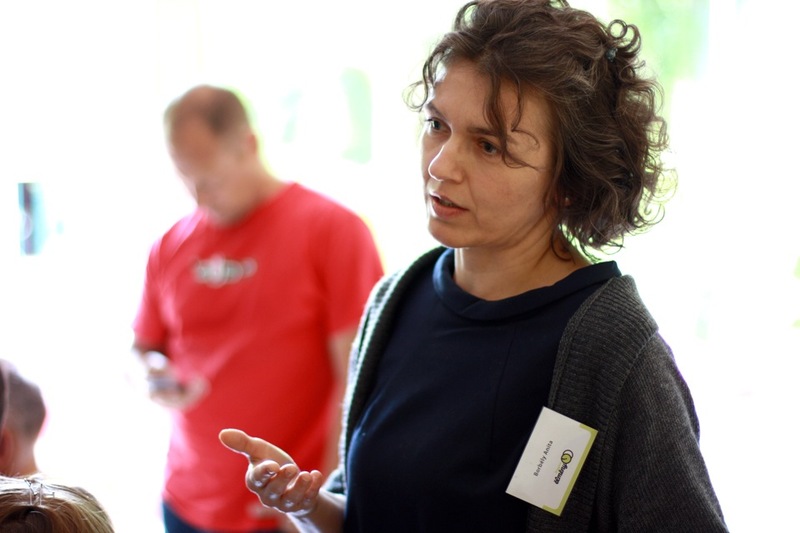 She told that it is the route of the KÖZOP project that is of the greatest interest. During the planning process and the discussions, a route beneficial as regards both leisure time bicycling and commutation bicycling could be found. 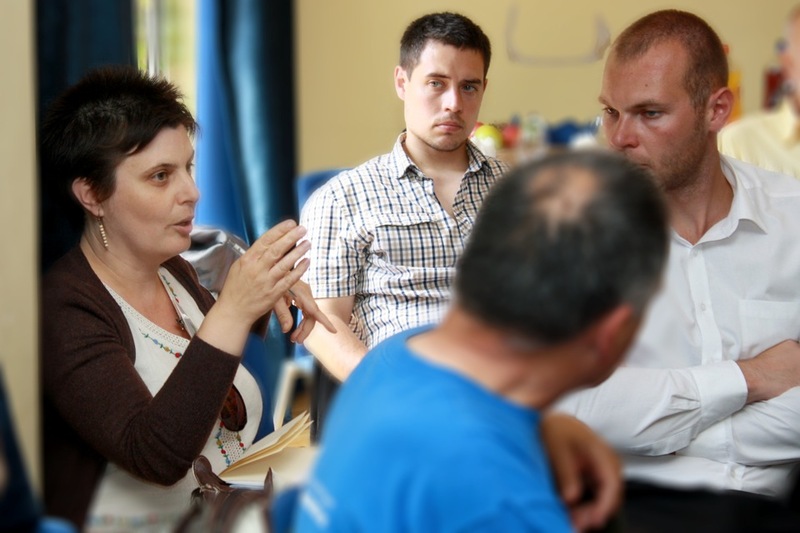 The recommended route will hopefully promote a number of local and micro-regional developments. There were covered also by subsequent lectures. 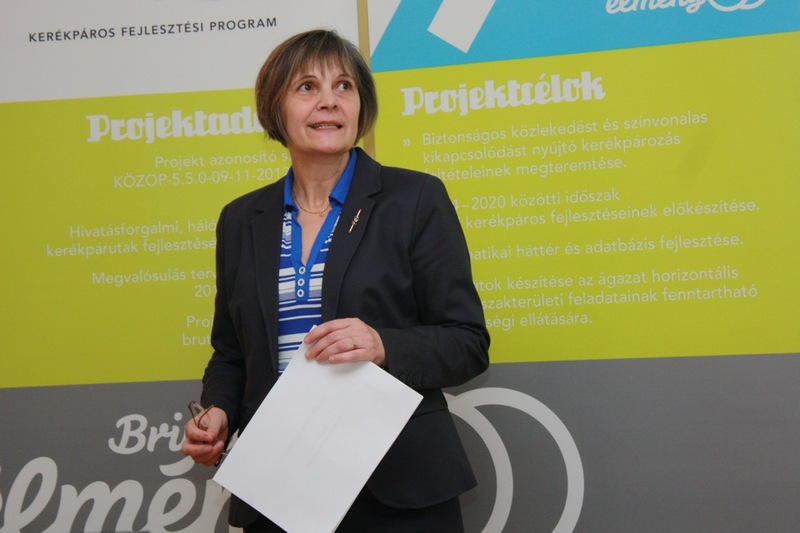 Erzsébet Magó, head of the Spatial Department of the Ministry of the Interior held a presentation about the current issues of the bicycle road system resulting from the acts on the National Spatial Plan (OTrT) and the Spatial Plan of Lake Balaton Outstanding Resort. She highlighted, among others, that the urban planners may proceed in view of the temporary provisions of the OTrT until the OTrT and the county plans are harmonised. During the discussion, the specialists present noted that the possibility of deviating from the routes specified in the OTrT by 10 percent gives them a significant freedom in planning. In her presentation, the specialist stated that the development plans of the bicycle route in question are in line with the annex of the effective OTrT on the elements of the national bicycle road network. 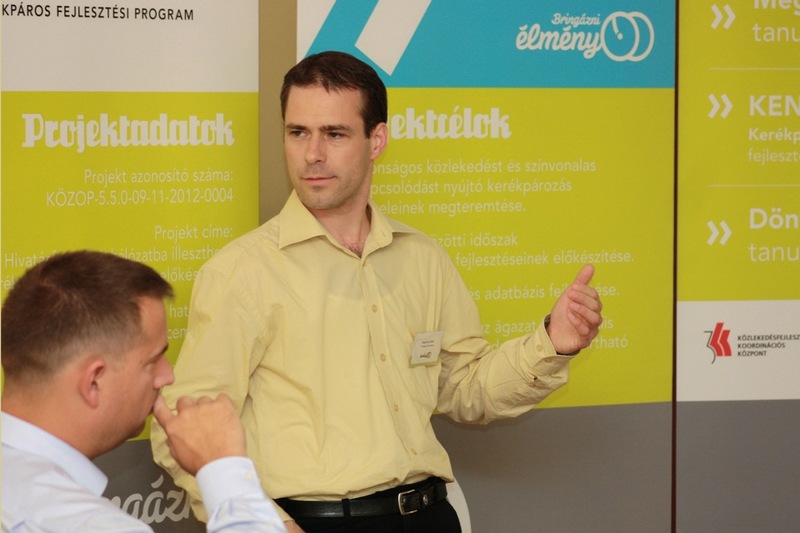 The development concept and programme of Pest County was presented by Gergely Kánai, a colleague from Pest Megyei Területfejlesztési Nonprofit Kft. 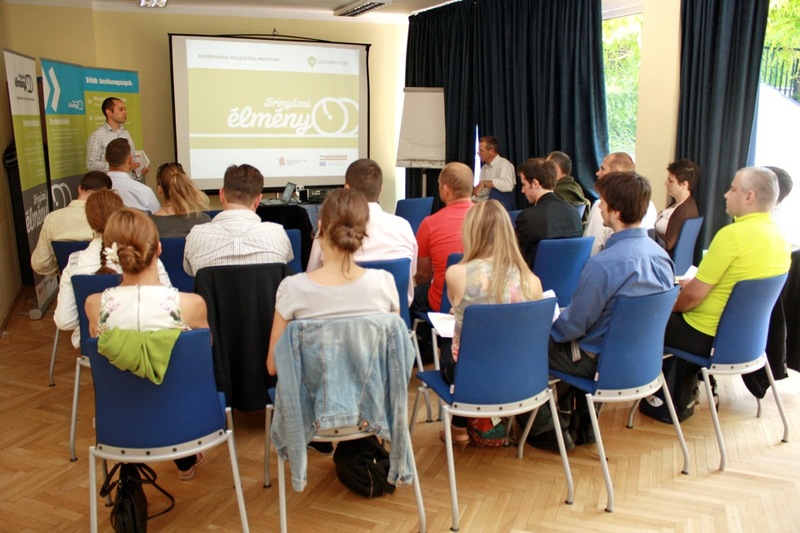 In his lecture, he emphasised that it is the Central Hungarian Region (KMR) where there are the most significant development differences between the micro regions, and therefore they want to use resources available in the development cycle of 2014-2020 to take steps towards their elimination. However, the bicycle development possibilities are determined also by financial limits. 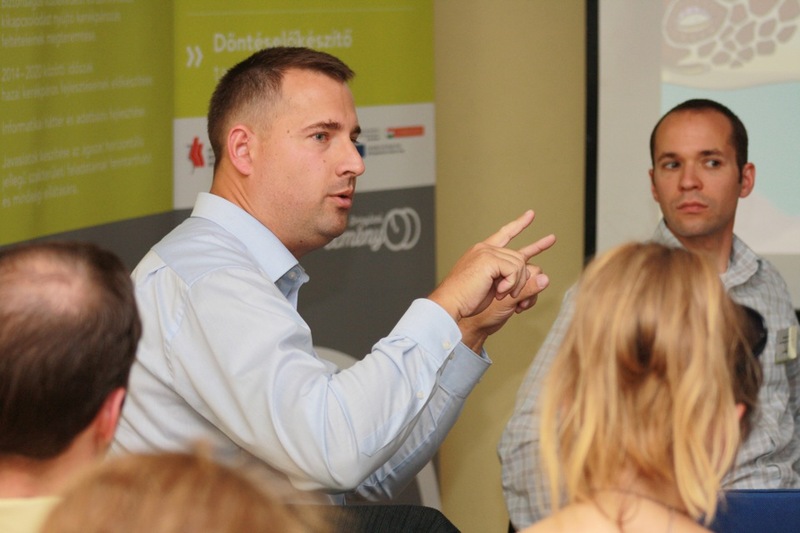 A still open question – he explained – that is how resources from other operative programmes could be allocated to the bicycle development in addition to the Central Hungarian Operative Programme would be answered in the next few months. 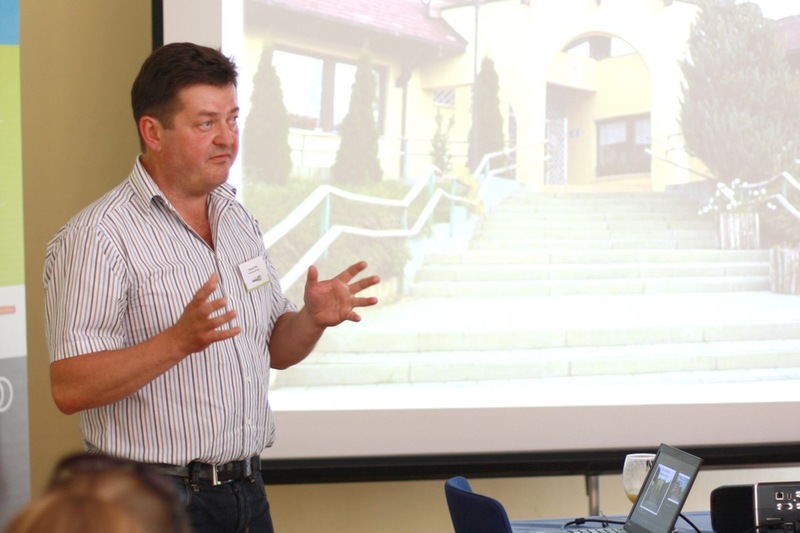 Attila Győr, head of department at the Gyula Forster National Heritage Management and Service Centre presented the „Garden Realm” project of the institution to the audience. Their intention is to make the existing castles and landscape-gardens of the county a tourism destination of a network where bicycle would be one of the major means of traffic between the sights. 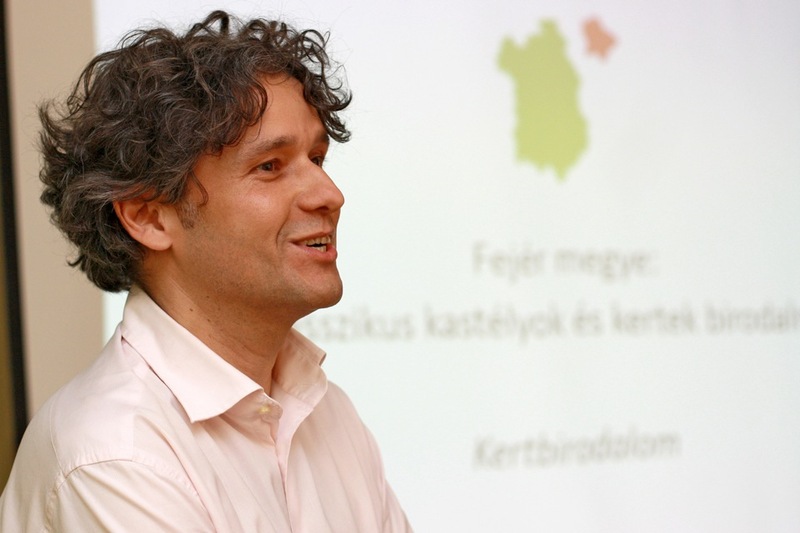 In his lecture, he presented also some attractive and successful European development practices. Gyula Juhász, manager of TóSport Kft. 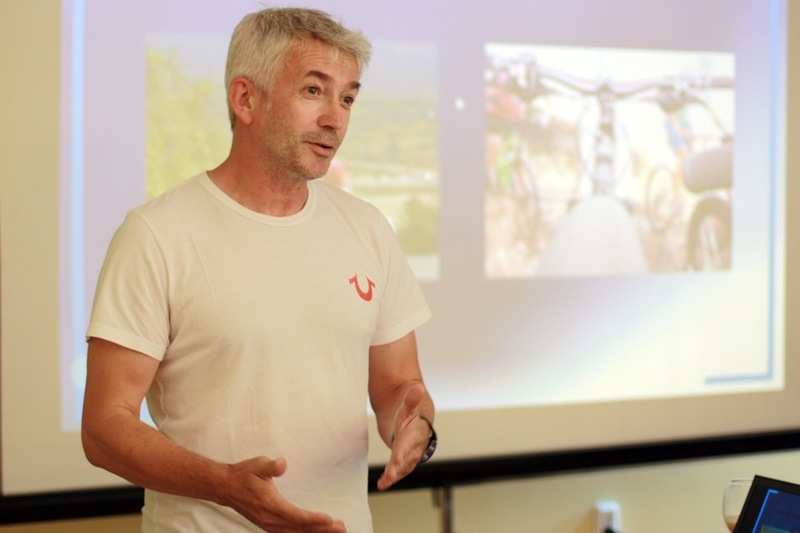 In his lecture „The development of the bicycle culture in the region of Lake Velence", Gyula Juhász, manager of TóSport Kft., called the attention via an example of Lake Velence development to how the bicycle tourism had gathered impetus as a result of cooperation between local entrepreneurs. In addition, he presented the services of the bicycle centre intended to shape the habits of use of bicycles by the cyclers, their attitude and culture. 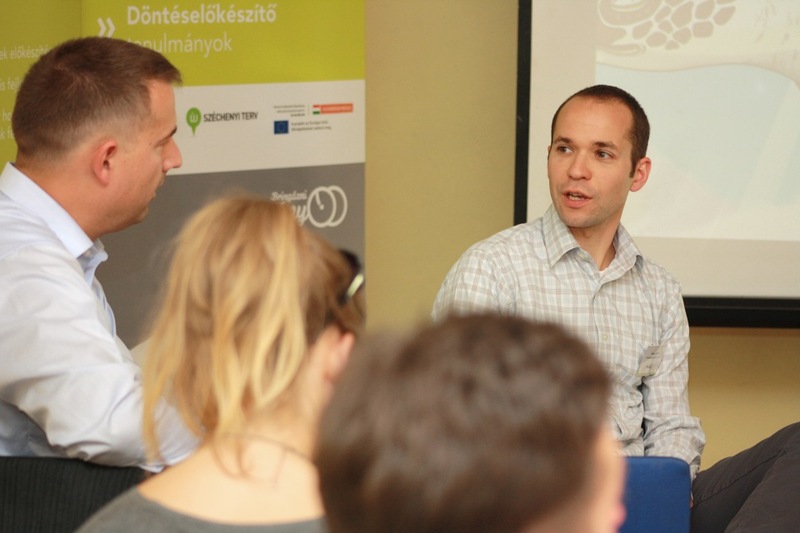 In the block of presentations related to local initiatives and good practices, Tibor Garaguly, mayor of Etyek, described the settlement’s developments already achieved and its long term plan, highlighting the possibilities of connection to the bicycle developments. He presented the correlations between the past of the settlement, the current developments and the future plans, as well as the role of the local circumstances and local notabilities. 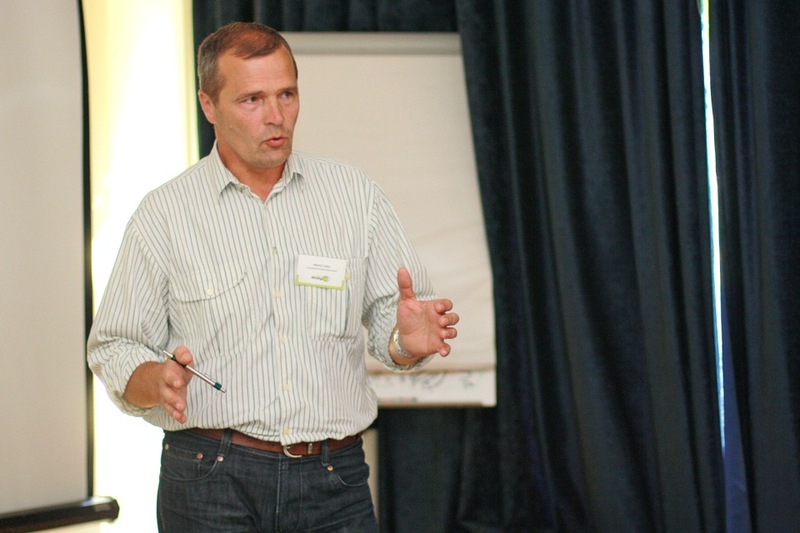 Csaba Mátrai, mayor of Szabadbattyán, spoke about the possibilities of bicycle commuting in his presentation. 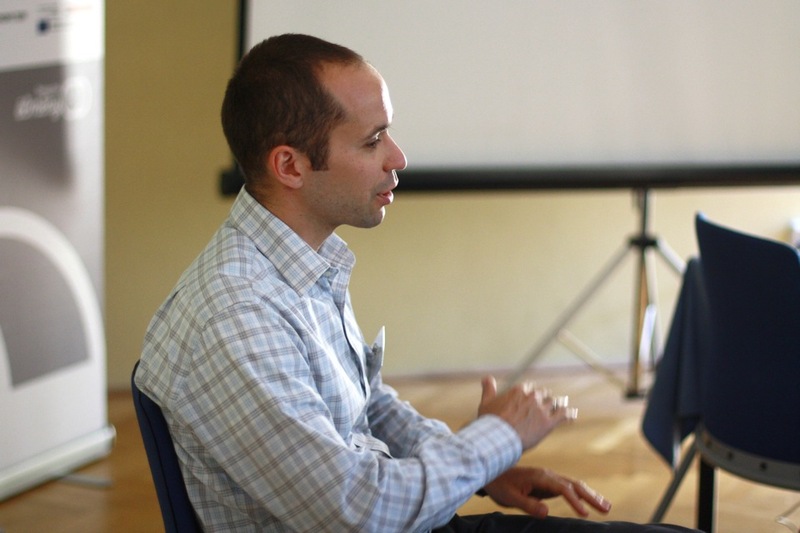 He highlighted that the KÖZOP development is of major importance for them due to the location and structure of the settlement as the implementation of the bicycle routes included in the plans would significantly increase the quality of life of the inhabitants of the settlement, reduce the environmental load, strengthen the connection with the county seat, and fundamentally improve the terms of safe bicycling.